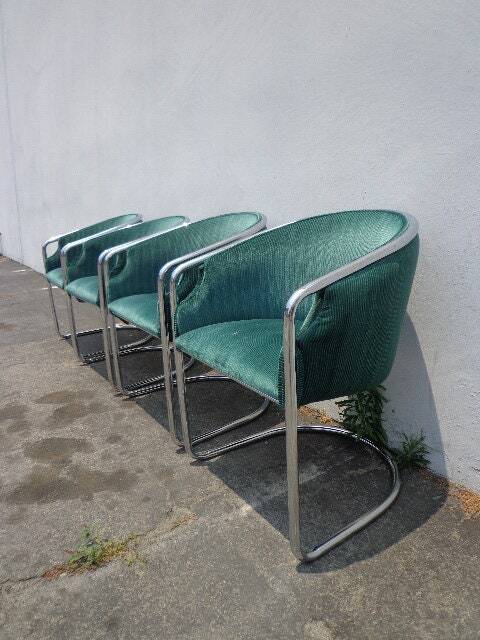 Amazing set of 4 Milo,Baughman style cantilevered chairs. 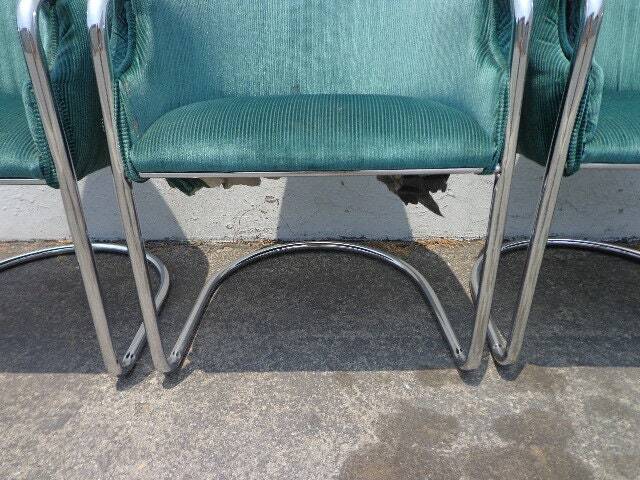 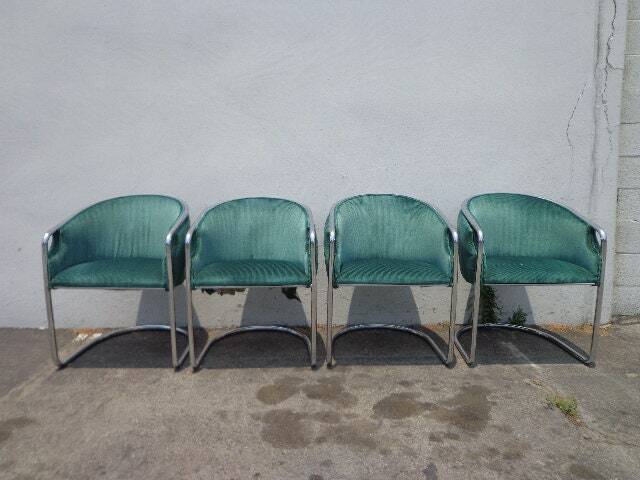 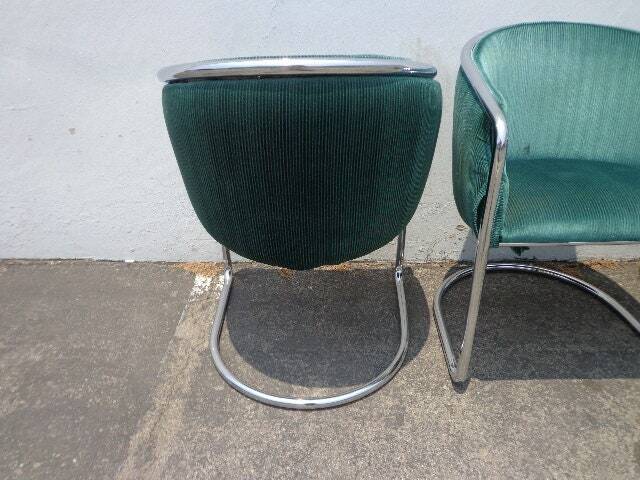 Features super heavy chrome frames and gorgeous emerald green upholstery. 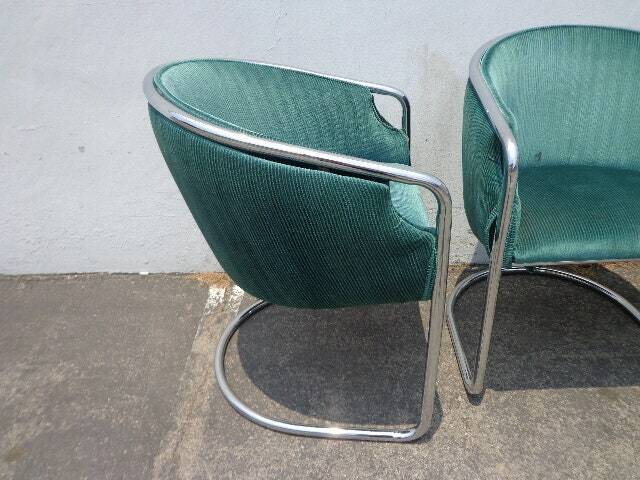 The cantilevered frames and design make these one of kind and super chic. 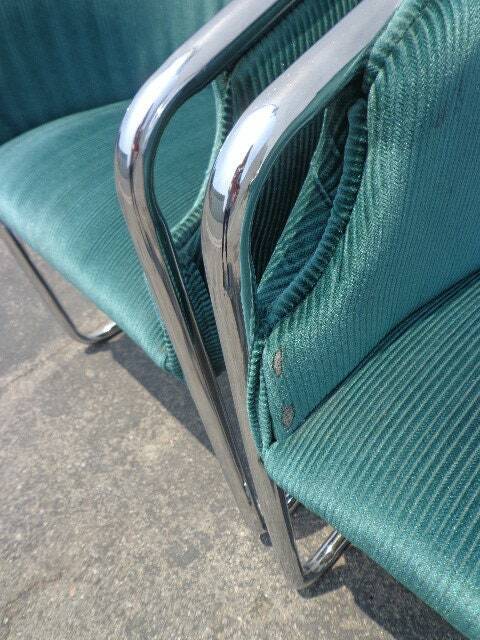 Overall good condition for their vintage age and super sturdy. 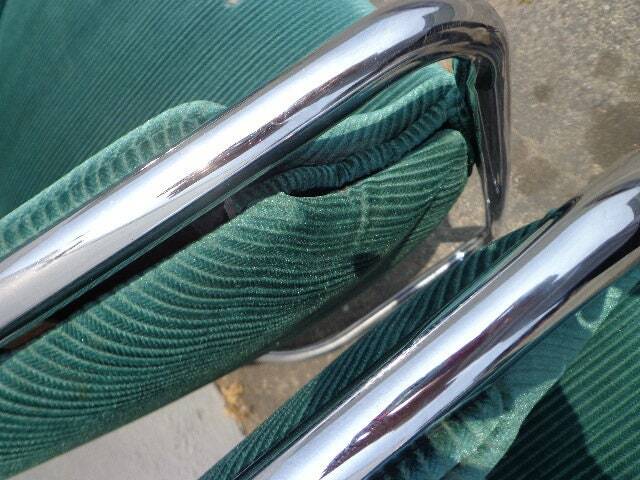 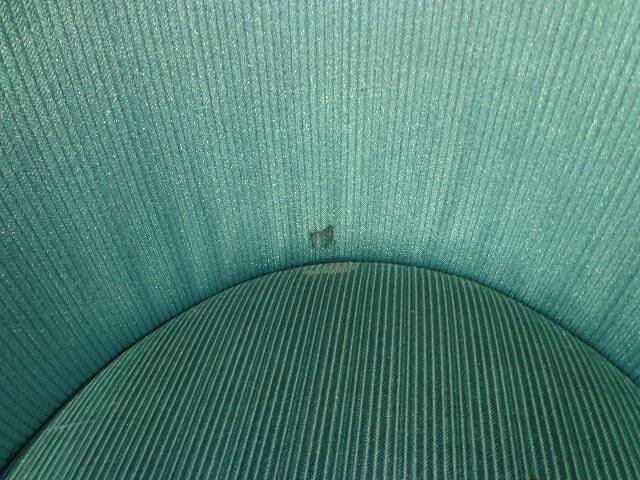 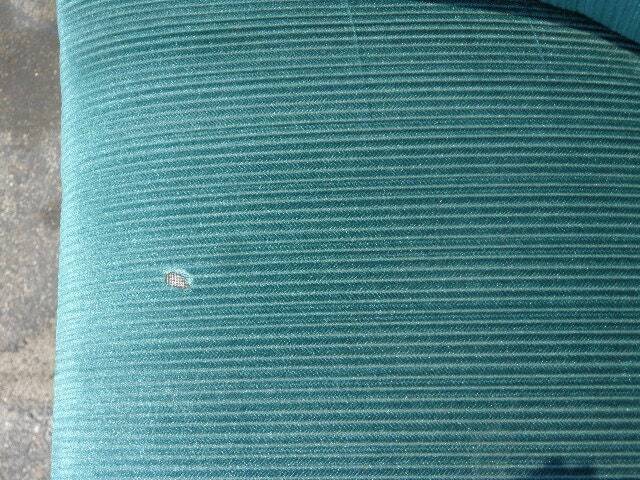 Shows wear on surfaces and the upholstery needs cleaning or recovering. 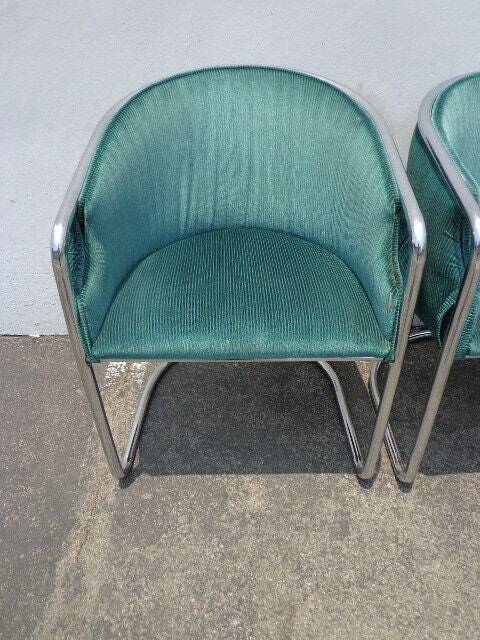 The frames are super solid, heavy, and sturdy.